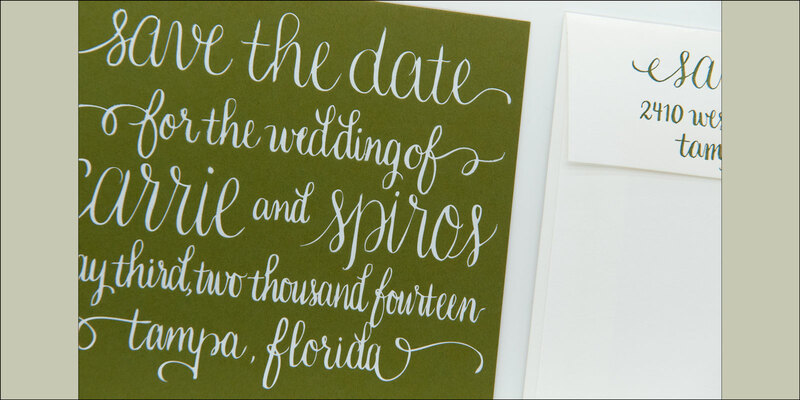 This green save the date is beautiful in its simplicity. The cards are foil stamped in white on a heavyweight green card stock. 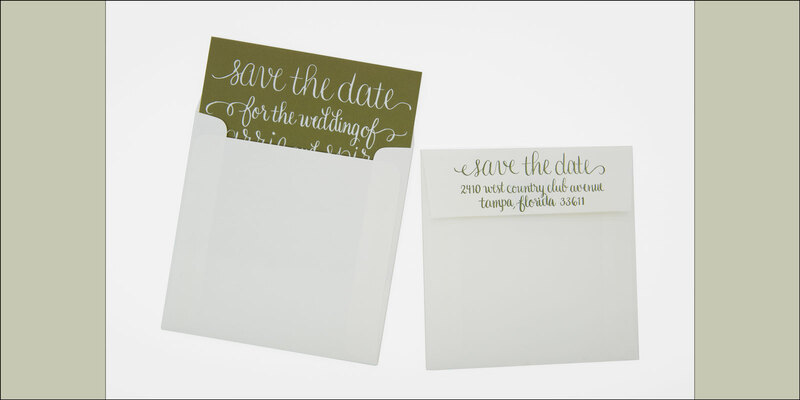 To make a matching set, the envelopes have the return address in green letterpress on the envelope flap to match the color of the card stock.